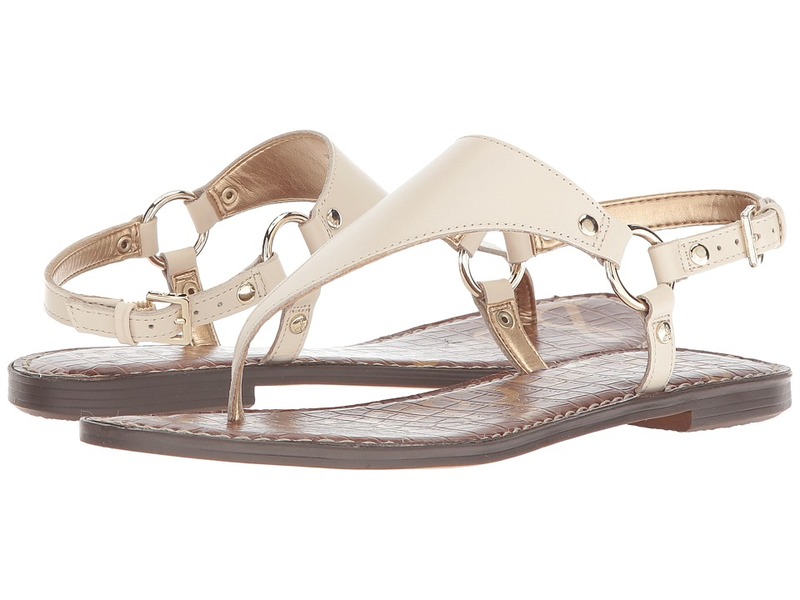 Be admired for your chic minimalist warm-weather style in the Sam Edelman Greta sandal. Available in supple suede or premium leather upper. Slingback strap with adjustable buckle closure. Round-toe silhouette. Open, thong construction. Man-made lining and insole. Lightly padded footbed. Micro heel. Man-made sole with rubber heeltap. Imported. Measurements: Heel Height: 1 2 in Weight: 6 oz Product measurements were taken using size 8, width M. Please note that measurements may vary by size. Weight of footwear is based on a single item, not a pair.